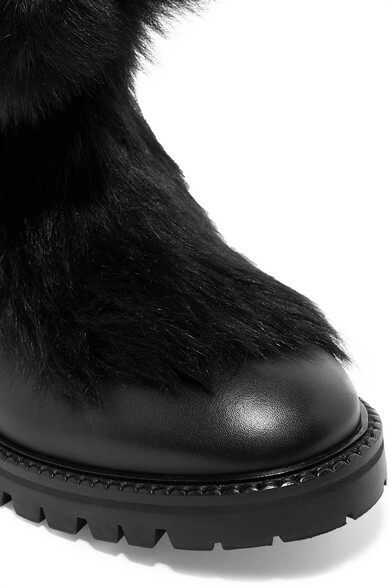 The first thing you notice about Jimmy Choo's 'Glacie' boots is the fluffy pompoms - they're a lot more playful than most utility-inspired pairs, though still really practical. 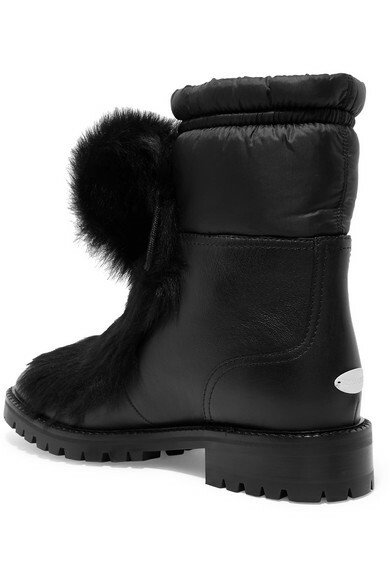 Made in Italy from black leather with a cozy shearling lining, they have a drawstring shell upper so you can fasten them snugly. The deep tread soles are perfect for wintry walks or après ski. 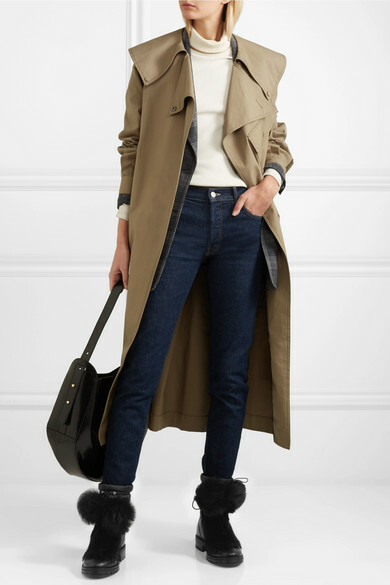 Shown here with: Goldsign Top, Acne Studios Blazer, Mother Jeans, Acne Studios Trench coat, Wandler Tote.